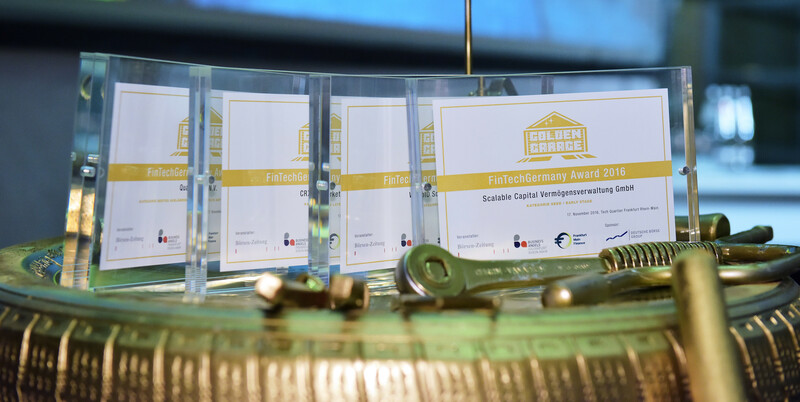 Since 2015, the FinTechGermany Award stands for excellence in FinTech. The jury’s focus is on the affordability, scalability and exit ability of companies. It rates u.a. the business concept, competitive advantages, positioning, financial plan and management. Seed- / Early-Stage includes FinTechs, who have so far no or first sales and no or a first prototype can show. For the Late Stage category, companies with a cumulative turnover of at least six digits can apply. A clear seven-figure turnover as well as international expansion is the prerequisite for an appreciation in the category “Growth Stage”. In addition to the award, the winners will receive a match for the Golden Garage “Challenge Cup” in the form of gold-plated water pump pliers. Günter Rothenberger, founder of the Günter Rothenberger Industries GmbH and inventor of the “R-System”, donated the trophies.